The Croydon North by-election is on November 29, and Inside Croydon has put to candidates a set of questions. We will be putting the responses on the record, published without the artifice, interruptions and grandstanding of the usual hustings. We hope that you will give all of these posts a read and compare the candidates’ answers on the issues that matter to you. Here are the answers from the Respect candidate, Lee Jasper. What is your vision for Croydon? I have a vision of a Croydon that fully engages and delivers for all of its residents and doesn’t neglect some parts of the borough, like the north of Croydon. The mainstream parties continuously fail to produce and implement successful policies and repeatedly go back on their promises. If elected as your MP, I intend to stand up for peace, equality and justice, the values of the Respect party and to defend the poor from the ravages of austerity. Tell us a little about yourself, your background, where you grew up and went to school and university, your work and family. I am a family man with nine children and four grandchildren. My father is Jamaican, my grandfather was from Sierra Leone, and my mother was Irish. I was born and grew up in Manchester, where as a mature student I studied for a degree in social sciences. I later moved to London and live in Lambeth. I was policing and equalities advisor for the former Mayor of London, Ken Livingstone for eight years. I currently am a community campaigner and have a track record of over 30 years of speaking out against discrimination and injustice of any kind. I have a unique combination of knowledge at the highest levels of local government, and at the very grassroots of local activism. I became involved in politics through my links with Notting Hill Carnival and later sat on various committees including the Inner London Education Authority, Royal Commonwealth Society, Metropolitan Police and various human rights and anti-racist organisations and charitable trusts. What are your interests outside politics? Music and my family. What is your favourite part of Croydon? The constituency where I am standing – Croydon North, of course, and all the people who live here. 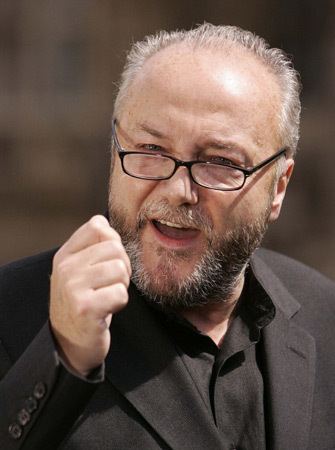 Are you the candidate in Croydon North, or is it George Galloway? 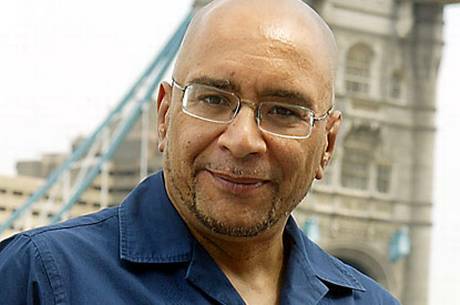 Why will you appear on the ballot paper as “Lee Jasper – Respect (George Galloway)”? I am the candidate in Croydon North. This is what goes on Respect Party’s polling papers to easily identify us. Until very recently, you were closely associated with the Labour party, and you worked with Ken Livingstone. What made you join Respect? I have been a Labour party supporter for a number of years, but believe that the leadership no longer represents the core values which attracted me to Labour in the first place. They took the country into the Iraq war which I believe was totally wrong. I worked for City Hall as a senior policy advisor for Ken, whilst he was an independent candidate, shunned by the Labour party at the time for standing up for what was right. Respect party is a party of principles and stands for the true Labour values which sadly New Labour no longer stands for. Do you support the incinerator? No, we don’t. We think it is a health hazard and has been deliberately sited in our area because the council thinks that residents here won’t be able to mount an effective campaign or legal challenge against it, compared to the more affluent parts of the borough. What would you do to secure the extension of the tram to Crystal Palace? I will campaign to make it happen. Transport is a vital infrastructure link for ensuring growth and development of the area. What do you think of the performance of the local council? 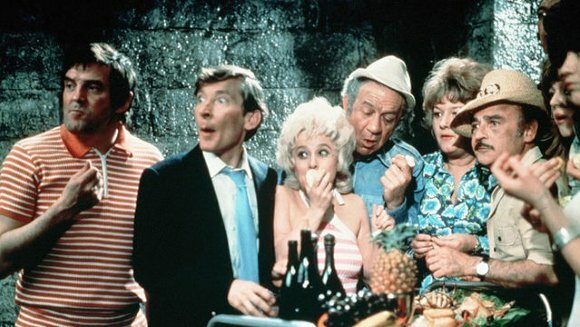 Croydon’s Conservative Council should audition for a new generation of Carry On films. I can’t believe that in the 21st century such comedic incompetence could have been elected to run anything. 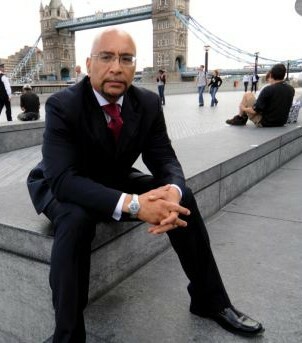 If elected, I will challenge and expose this council’s malign neglect of Croydon North. What could you do to deal with the huge shortage of school places in north Croydon? We have to find a fair answer involving the local authority that does not create a two-tier system of selective academies who expel more children than state schools and take the money out of state-run education. We would also approach the private sector to make available acres of empty office space in Central Croydon as an immediate and pragmatic solution to this problem. Is it a criticism of the Conservatives that London Road traders lack their Riot Act compensation? Yes absolutely – both the Conservative leader and Boris Johnson were publicly on record saying that these businesses would receive riot compensation. Fifteen months later, the London Road traders still haven’t received the money they should have got. If I get elected I will read the Riot Act to Boris Johnson. What would you do to save the Croydon Supplementary Education Project? I have said publicly that if elected as Croydon North MP, I would mount a legal challenge against the council on equality grounds as I believe their decision to cut the funding to the supplementary education projects disproportionately affect black and minority ethnic communities. These projects were set up because communities want to do their best to make sure their children do not continue to suffer inequalities in terms of educational results from mainstream schools – which have been documented both by Labour and Conservative educational statistics for decades. So in effect certain communities are being penalised twice in education. Do ethnic minorities and faith groups face discrimination in Croydon? Yes. 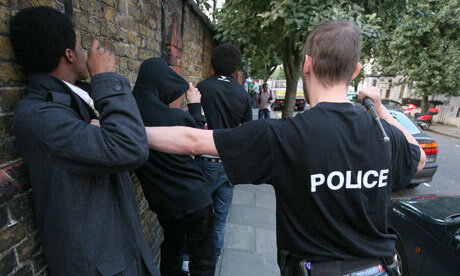 In terms of higher stop and search by the police, higher exclusions from school, poorer educational outcomes and higher youth unemployment rates, there is overwhelming evidence that for London as a whole, ethnic minorities continue to face discrimination in the areas of policing, schooling and employment. Croydon’s figures make a significant contribution to these London-wide figures, as it is one of the largest boroughs in London with the highest youth population. Ethnic minorities continue to face discrimination in Croydon as they do throughout the capital. As for faith groups, people in Croydon North have told me that applications for churches have been turned down, whereas planning licences are being approved on the high street for betting shops and pawnbrokers. This can’t be right. Do you agree with the Croydon Central MP that one hospital A&E should be removed from south London, namely St Helier’s A&E unit? No I don’t. Respect is the only party that is clearly anti-austerity measures and anti –cuts. We are against poorer and less influential people being made to pay for the mistakes of bankers and the major parties who have mismanaged the economy. So, no I don’t agree that the A&E unit of St Helier’s should be closed, which will only put more pressure on an already overstretched A&E of Croydon University Hospital. It will also mean that residents near St Helier will have to travel further outside of their borough to get accident and emergency treatment, that is worse patient care. How can we agree with that? What would you do to protect public services? Respect stands for Jobs, Homes, Peace and Public Services and No to ConDem Austerity. I will campaign vigorously against austerity cuts and empower local communities to take control of local services where that’s possible and explore additional sources of funding to compensate for draconian cuts to local authority budgets. What is the solution to Croydon’s housing crisis? Year-long housing waiting lists or housing homeless people in unfit Bed and Breakfast accommodation are definitely not the answer. The housing crisis has been caused by both Labour and Conservative local authorities failing to build sufficient council housing for people and allowing market forces to dictate house rents and prices. This, together with cuts to public services, housing benefits, rising unemployment and prices, means that too many people are struggling to keep a roof over their head. This has caused the housing crisis. If elected, I would establish a local campaign in partnership with local people to identify land that can be transferred into local ownership enabling unemployed youth to learn valuable construction skills and create the opportunity to build and own their own homes. These houses would be high-quality, zero-carbon houses, which would be insulated and energy saving to minimise damage to the environment. Should the term for abortion be shorter than 24 weeks? I am pro choice in that I believe that it is the women’s right to choose ultimately what happens with her body. I also believe that the majority of women who make this difficult decision are aware of the seriousness of her decision and its consequences. The current medical evidence states that up to 24 weeks, it is safe for a woman to have an abortion. Should we have a referendum on our membership of the EU? No, we think this is a smokescreen. We are members of Europe and need to be in it to have any influence on it. What we should be concentrating on is how many people, young people in particular, are engaged with the democratic process in this country, particularly given the low voter turnout at both local and national elections. If I was elected as your MP, I would campaign to lower the voting age from 18 to 16 to enfranchise our youth, who at this age are considered legally responsible enough to marry, have children, join the army, go to prison, go to work and pay tax but yet cannot vote. Absolutely and invest the money spent on nuclear weapons in jobs and public services. Who do you think will come second on Nov 29? Even though we don’t have the backing of big money like the other traditional parties, for this election in Croydon North, we are a people’s campaign who are in it to win it and so we are not focusing on who is coming second. This entry was posted in 2012 by-election, Croydon North, Lee Jasper and tagged Croydon, Croydon North, George Galloway, Ken Livingstone, Labour, Lee Jasper, London, Respect. Bookmark the permalink. Wow! Had I not seen Mr Jasper at work, I would be impressed. It is easy to put words together. So sad we live in a world of make-believe. If Mr Jasper wants to make a difference in education, he can start by removing the bus that plays loud music in Croydon to support his campaign (???) as near educational establishments – and my work in one of them – has been getting seriously disturbed since this Monday. b) it lacks any intelligence whatsoever. Mr Jasper, do us a favour and act as a politician with respect. This is no high school elections in USA or a prom night. Thank you.